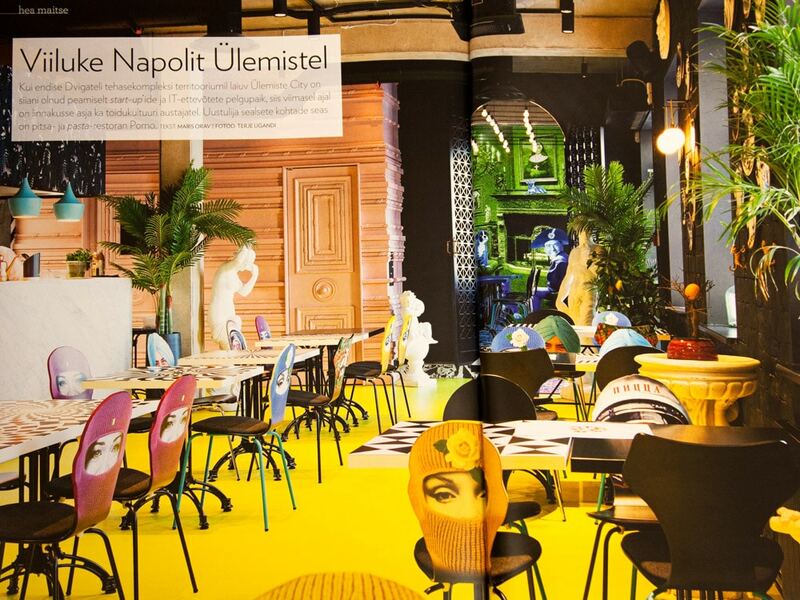 Fresh number of design magazine Diivan writes about pizza restaurant Pomo in Ülemiste City in Tallinn. Restaurant idea by Jaak Morna, interieur design by Anne Määrmann & Kristi Prinzmann, logo by Martin Lazarev. Design of tables, chairs, menus and wallpaper by me.